Preheat your oven to the lowest setting, mine was 170 F.
Tear kale away from the stems into large bite sized pieces. 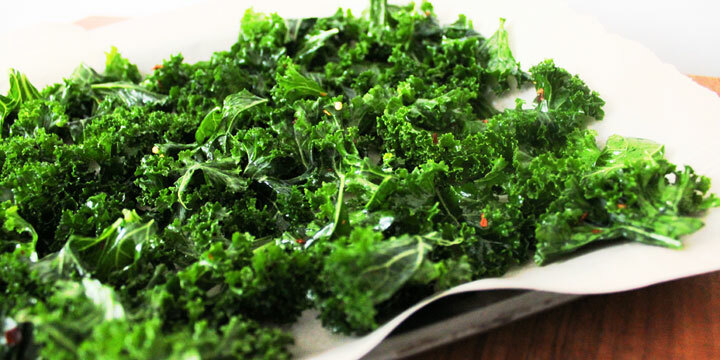 Place kale, olive oil and vinegar into a large bowl and spend a few minutes massaging it into the leaves. Add in the sea salt and chili flakes, stir to coat well. Using a parchment-lined baking sheet, spread out the kale evenly so that there is only one layer. Bake for 2 hours until kale chips are crispy.